I realize I haven't done a Choosy lip mask review in a while, so here it is! The Choosy Lip Pack in Milk. I've been using up the 'flavors' I've already reviewed, which is why there hasn't been new reviews of them. However, just last week I used the Milk lip pack and I am currently using one as I type so I thought it would be a good time to write a review on this. 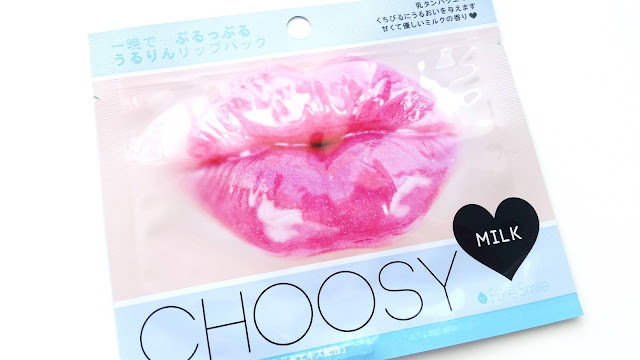 I purchased Choosy's lip masks because I wanted to try them all. Choosy used to have 2 lines of lip masks but now there are more. I only purchased all the masks from the Peal line and the Original line. 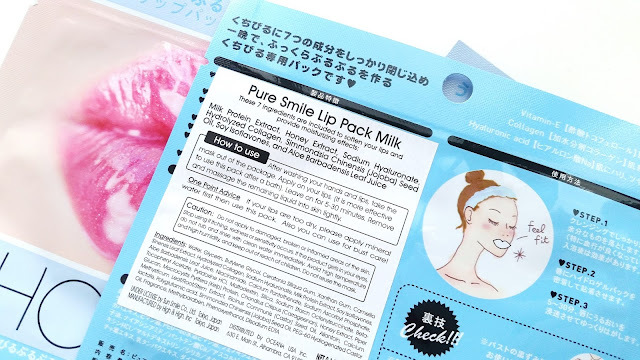 The Milk lip mask is from the Original line which also have Fruit, Peach, Herb, and Honey. The Pearl line includes Pink Pearl, White Pearl, Purple Pearl, Gold Pearl, and Black Pearl. Hopefully, I can review them all by the end of the year! As you guys already know from reading my previous reviews, my lips can be dry and chapped if I don't take care of them. Even though I use lip balms, sometimes I still need extra care to keep them moisturized and soft. That's why once a week I have a mini lip care pampering session to make sure my lips are in tip-top shape for the rest of the week. And lip masks play an important role in that mini session. That's why I always have some on hand. Anyways, let's get to know these Pure Smile Choosy Lip Pack in Milk. Product Description: A moisturizing lip mask that contains ingredients like honey, milk protein, jojoba seed oil, aloe, collagen, and more to soften up the lips and provide hydration to it. The mask also contains Vitamin E and other nourishing ingredients as well to care for the lips. 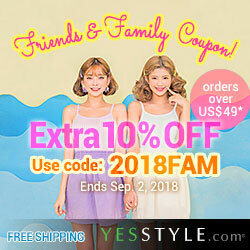 Ingredients: Water, glycerin, butylene glycol, ceratonia siliqua gum, xanthan gum, camellia sinensis leaf extract, hydrolyzed collagen, sodium hyaluronate, milk protein extract, soy isoflavones, aloe barbadensis leaf juice, niacinamide, calcium pantothenate, sodium ascorbyl phosphate, tocopheryl acetate, pyridoxine HCI, maltodextrin, silica, sodium starch octenysuccinate, citrus paradisi (grapefruit) fruit extract, simmondsia chinensis (jojoba) seed oil, beta-glucan, honey extract, chondrus crispus (carrageenan), piper methysticum leaf/root/stem extract, cetyl ethylhexanoate, allantoin, calcium lactate, polyglutamic acid, arbutin, PEG-60 hydrgenated castor oil, fragrance, methylparaben, phenoxyethanol, disodium EDTA. As always, I've highlighted the ingredients that differentiate each Choosy lip mask. All of Pure Smile's Choosy Lip Packs have the same base ingredients. The only difference is the highlighted ingredients that makes each mask unique. Packaging: Pure Smile's Choosy packaging never gets old. It's not exactly simple but it is very to the point. Each 'flavor' has its own color/style of packaging but they all fit the general outline. The back of the package contains information about the product. While the actual package has information in Japanese, I've found that the ones I've purchased always have a sticker with English information on the back (like you see above). I can't say whether or not they are all like that, but at least the ones I've purchased so far are. Inside the mask pouch, you'll find the lip mask is stored within a protective layer (like below). 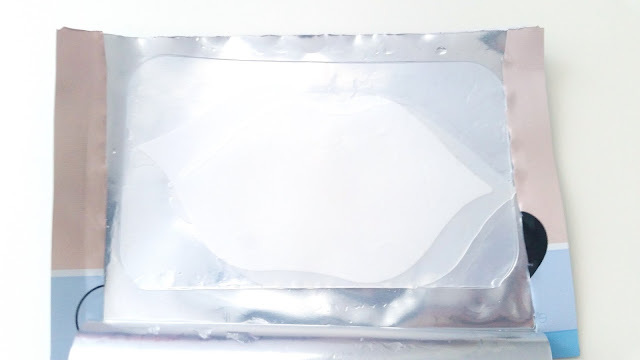 Aside from the protective layer, there's also a white plastic sheet as well, to keep the mask in place. Scent: I was hoping this lip mask would smell like milk candy or something close. Surprise! It does, sort of. 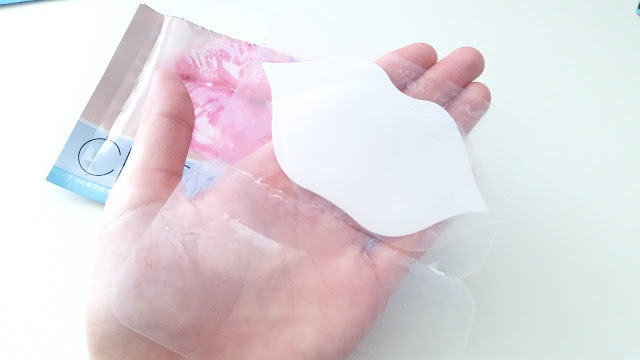 The mask has a sweet milky scent but it also has that typical hydrogel mask scent. Together it's an odd mix. However, once I apply the mask onto my lips, the scent isn't too noticeable. 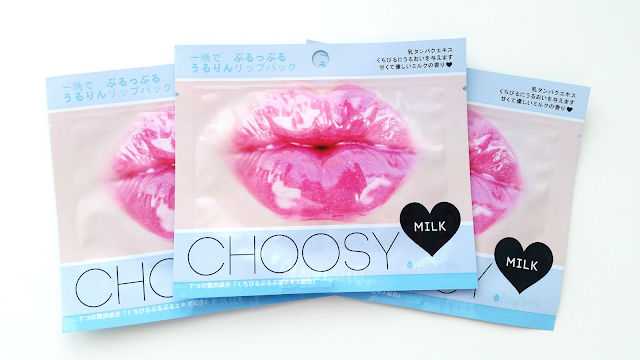 Color: The Milk lip mask is almost colorless and it's opaque as well. Texture: The feel of this lip mask is the same as other Choosy lip masks. It's basically a hydrogel mask for the lips. It sticks on really well and stays in place too. Michelle's Thoughts: I'm going to be brief and say I patch tested this as always. I won't go into details since I have in past reviews but you guys know the drill. After the Choosy Lip Mask in Fruit incident, I was worried that the other masks in the Original line could cause the same issues as well. However, you never know until you try and I chose to try the Milk 'flavor' from the original line. And let me tell you, it wasn't good but it wasn't bad either. The Milk Lip Mask was okay but I don't think it would ever make it into my favorites. Like all other Choosy lip masks, it manages to soften my lips. However, that's all it offers lip care benefits wise, which is a disappointment. It's somewhatly moisturizing but that effect is way off compared to other lips masks like the Purple Pearl. Even as I am sitting here with the mask on, I can tell that my lips aren't feeling the usual moisturizing care from other lip masks and it's wanting more. Luckily, the Milk Lip Mask didn't break me out or anything like some other mask, I'm looking at the Choosy Fruit lip mask, and it had a more pleasant scent as well. Final Thoughts: In some ways I was disappointed by this lip mask but in the end it's okay. This isn't the best lip mask I've ever used and it just barely made decent. It lacks the most fundamental element when it comes to lip masks, which is a great moisturizing factor. Despite its various moisturizing ingredients, the mask itself still wasn't moisturizing enough and that was its downfall. However, the Milk lip mask did manage to soften up my lips after each use and it had a good fit as well. Would I repurchase this mask in the future? Probably not. The lack of moisturizing effects for my lips is a big disappointment and it's also the reason why I won't repurchase. Do I think this lip mask is worth a try? Honestly, if you are looking for a good moisturizing lip mask, this won't be for you. However, if you are just looking for a lip mask that can soften lips with some moisturizing abilities than maybe give it a try. Although, in my opinion, why waste money on something meh if you can get something great instead. Disclaimer: These products were purchased by me. All opinions are honest and my own.